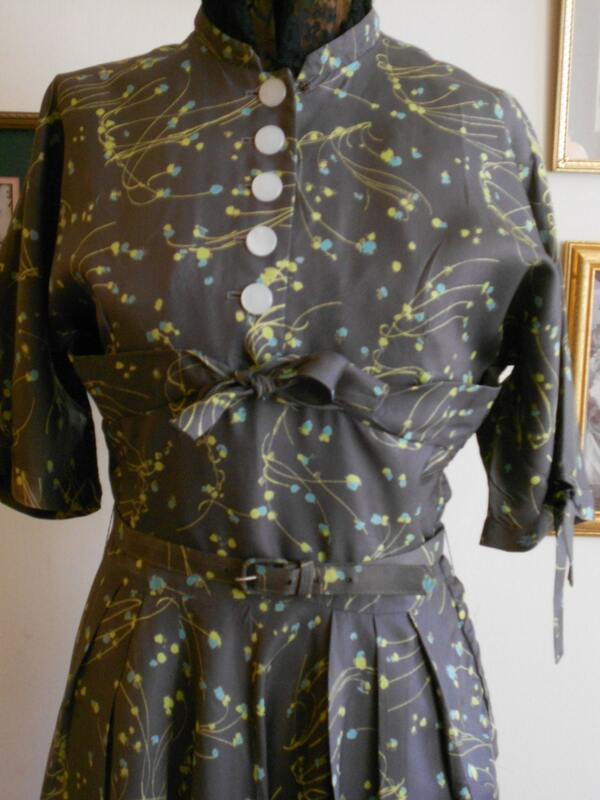 1950's, 36" bust, gray acetate print dress, with sprays of blue and yellow flowers printed throughout entire dress. 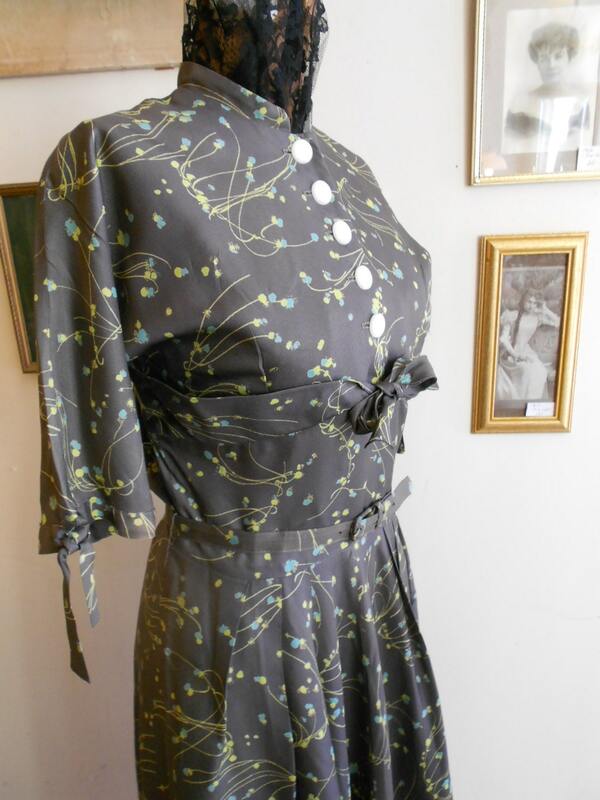 Dress has small mandarin collar, raglan short sleeves with bows at cuffs. The bodice has five white round buttons fastening front of dress, with a metal zipper at side. Sewn down same ribbon ties just below bust line, and material belt at waist. Skirt of dress is softly box pleated, and falls below knee. Label reads "by Malley of Hartford".